Over the past year or so, more than ever before, I have noticed that our guides, angels and a host of ascended masters have been urgently encouraging us to evolve rapidly and begin to emerge fully as the consciousness beings we came here to be. How Will Coaching Help Me..? Sometimes, when we step out onto the path, we experience a deep well of inner fear, darkness and doubt that seem insurmountable, sending us round in circles, repeating the same limiting circumstances, time after time. As you sit reading this message, you might still be wondering why you're stuck in the same old dramas and patterns. What exactly is this mysterious 'thing' that prevents you from moving forward in life and becoming all you can be.... ? You might be completely baffled and utterly frustrated with yourself, wondering why the heck you haven't "done it" yet. But your angels know what stops you ..and they also know how to heal it. Your guides know why it's there, and they also know how choosing these particular life lessons has allowed you to become the amazing being you are today. But now it's time to move ahead! No more excuses! The world is waiting for you. If you are here on a mission to live an extraordinarily joyful, creative, prolific life and to change the world, then this ground-breaking coaching is designed especially for you! Using a range of inspired spiritual techniques, high frequency healing modalities and of course, wisdom and guidance from our angels and guides, the aim is always, first and foremost, to bring you the breakthrough that has eluded you until now. If you are ready to accept that things can change in beautiful, magical ways, regardless of what has come before, book a taster session and we'll see if we might be able to work together. If you are ready to go beyond inner wounding, pessimism and self-doubt and take the journey of a lifetime, just let me know. ​If you're ready to overcome your deepest resistance and embrace the happy, successful life you were always meant to live, get in touch. Spiritual awakening support and empath support, using years of experience in cosmo-energetics, theta healing, NLP and Reiki techniques. Clarity in visualising, to amplify your success with the Law of Attraction. Embodying the feeling of what your wish to create - through drama, role play or snapshot focus. Healing techniques, games and exercises to expose and release any lingering threads of resistance. Connecting with parallel selves and past selves to re-awaken even more of your spiritual and creative gifts. Step by baby step we will work together in this program to discover, explore and release blocks, barriers and internalized nay-saying. Dissolving and healing or simply loving the voices that say you can't, then taking steps to overcome a life of limitation. You might also connect with your angels and guides for the first time or discover which higher guides you are working with on your artistic creations. This is a magical birthing process that will set you on the path that lights you up and keeps your light burning brightly, possibly for the rest of your time in this incarnation - living the life you were born to live! Includes one email per week, in which I will answer any questions, shares and concerns. 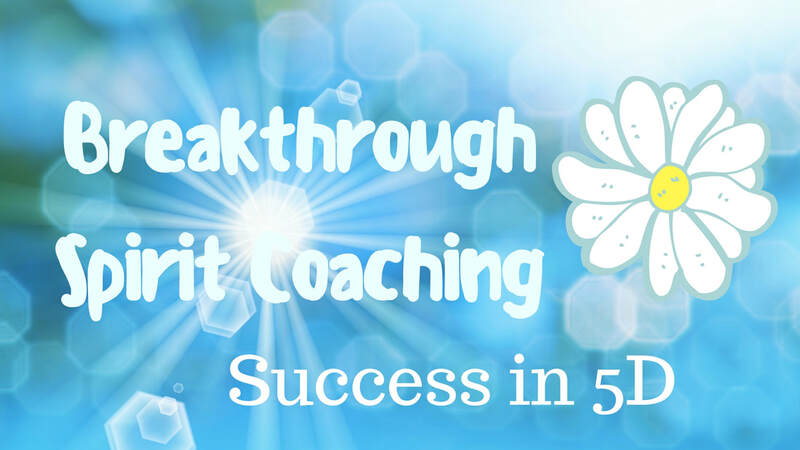 This is where you get to accelerate into a high gear, everything you have discovered and learned about yourself in the initial breakthrough program. By now you will have worked on overcoming the barriers to your success and put steps into practice that will have brought tangible, physical results and changes into your life. You will have seen concrete progress and advancement along your chosen path. This level of mentoring will push you to go beyond small thinking about what you can achieve and manifest. You will be challenged to see yourself living and working at a much larger level and stepping into a bigger stage with a grander vision, ready and able to be, do and create much more. This may mean collapsing the suffering artist paradigm and finally seeing yourself as an abundant, independent, creative, spiritual being who is capable of life-affirming freedom and success. Breaking through to a level of big, scary success that gives you butterflies and yet calls you forward into an extraordinary destiny you know to be the truth of your life! There is more hand-holding at this stage, as the emphasis will be on taking the big scary steps first, and working out the fear later. Includes two emails per week, in which I will answer any questions, shares and concerns.